partners. No outside guests allowed. Once a year the Central California Region of the American Red Cross comes together for a weekend of training at the Training Institute. During this time we update our skills and spend time with our larger team, working together to make us ready to assist our local communities when disaster strikes – and build valuable relationships to deepen our sense of team. Why should you come to the Training Institute? You should come because it will help you better understand the Central California Region as a whole. We're made up of individuals from ten counties, ranging from the coast to the central valley -- and we work together to prevent and alleviate human suffering in our communities. It may mean responding as a DAT worker to a house-fire, responding to regional events, or going on national deployments. It may also involve installing smoke alarms, assisting with community presentations, helping out at a Service to Armed Forces Rally or a fundraiser, surveying potential shelter sites, conducting Pillowcase programs for kids, taking care of our offices, or coming together for a geographic volunteer meeting. The list is never ending. At the Regional Training Institute, we have the opportunity in a non-disaster environment to get to know each other, build relationships, and ready ourselves to serve. Some of you will drive many hours to come and we are committed to creating a valuable experience for our team. We hope to see you this June! We aim to create a great volunteer experience – and a valuable training opportunity for our region. To reduce costs, elements of this event have been planned with an eye toward creating the most comprehensive training event possible for the least cost and the least environmental impact. 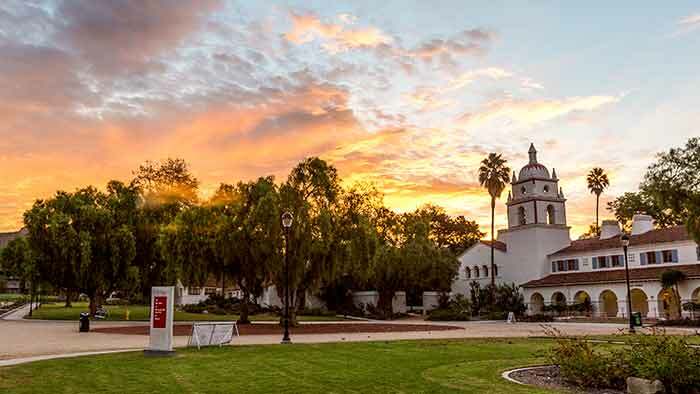 Through our community partnership with CSUCI, we are fortunate to be able to hold our institute in a beautiful and state of the art setting. This will be a paperless event. We will not be printing course materials – everything will be provided to you electronically before the event. (You can also find all course materials on the Exchange under the DCS Training Index.) You will be asked to bring a device (e.g. laptop, tablet, Kindle) with you to the Institute. Wifi may be available, but due to bandwidth constraints you are encouraged to download your course materials in advance. If you want paper copies of your course materials, you will need to print those and bring them with you. It is your responsibility to complete all course prerequisites prior to attending the Institute. Instructions around this are incorporated in the Course Catalog. Most courses have one or more training prerequisites, most of which can be completed online in EDGE. Course prerequisites are also listed in the class “Fact Sheets” which can be found on the Exchange under the DCS Training Index. If you have questions regarding your course prerequisites, please contact CentralCa@redcross.org. ​ class prerequisites prior to coming to the Institute! - Laptop, Tablet, or other PDF reader if you have one available. - A mug with lid or a water bottle for use during class; coffee, water, and snacks will be provided. Overnight participants will be lodged in the Channel Islands University residence hall, with two people assigned to each room. (If there is someone with whom you prefer to be lodged, please note that in your registration.) Parking will be available on campus and a limited number of parking passes will be available. You are advised to bring your own car or carpool. Dinner will be provided Friday; breakfast, lunch and dinner will be provided Saturday; and breakfast and lunch will be provided Sunday. All meals will be provided by the Islands Café Dining Hall on campus. Any meals outside of those provided by the Institute should be purchased at your own expense. Below you will find the courses offered each day at the Central California Institute. When you sign up for the event, the course listing will give you the option to learn more about each course. Just click on the item and it will share information about the class. On the side of the scheduling site you will find tracks that you can click on that offer suggested training.